If they did the 2017 draft over, does Markkanen go #1 overall? If not, who? Tatum? Mitchell? Fox? Jordan Bell? Sam: Ouch. Hey, Bell is averaging 3.3 points this season and has attempted two three pointers (none made) in more than 800 minutes. So, yes, Lauri still gets picked ahead of him. I know we've been thrilled with Markkanen, especially his February run when he averaged 26 points and 12 rebounds. He's close to being the third Bull ever after Artis Gilmore and Elton Brand to have a 20/10 season. He hasn't been great the last two games, but as much as February was a sample so was that. Markkanen apparently wasn't feeling well the past week, so that might explain the lack of energy. But he still has a lot of bulking up to do. With all his skills, he's not creating much off the dribble and tougher defense like contenders Indiana and Philadelphia played took him off the ball. Maybe one day he reaches that level, but if you were doing that draft today Tatum and Mitchell probably would go ahead, and perhaps Fox because of the way the game is played these days. The top players make an impact with the ball in their hands. Markkanen is more on the receiving end to make his plays. You see how Fox's development has transformed the Kings. But Lauri's definitely ahead of Fultz and Ball. 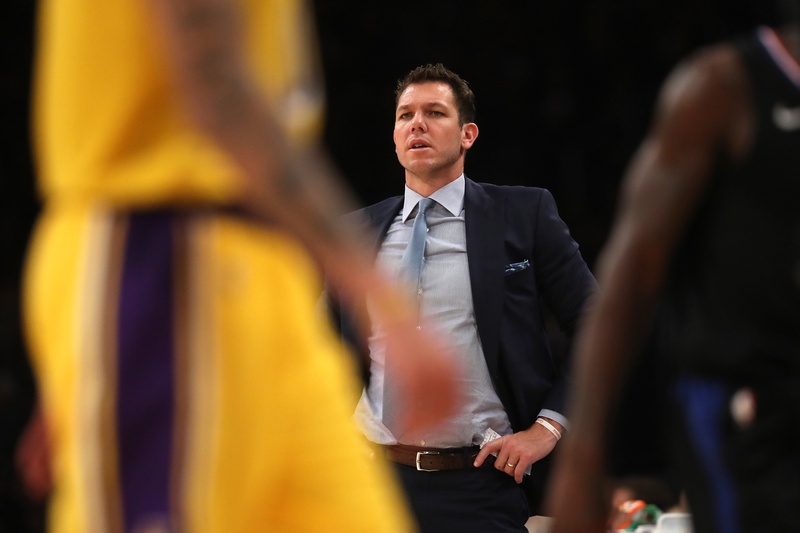 What do you think of Luke Walton as coach? He coached the Warriors to an all time record and his team now is underachieving. Does this prove coaches aren't as important in the game today? Sam: I wouldn't go quite that far, though I don't believe they are as important as many fans and media suggest that when things go wrong it's the coach's fault. But you do need someone to drive the bus to help the important passengers get there. I think Luke is a very good young coach. OK, very good former coach. It was a coup for the Lakers to get LeBron; but LeBron isn't patient. Magic is no Pat Riley. Generally you have to sell your soul with LeBron. Riley wouldn't let LeBron fire his coach, so LeBron checked out when he could. Magic made his deal with the devil, and there isn't an NBA team that wouldn't do the same to get LeBron. Then he got hurt when the Lakers looked pretty good and LeBron obviously made the calculation that it was worth trying to strong arm Anthony Davis out of New Orleans. It was worth a shot since he's always made it clear he doesn't like playing with young guys. It didn't work, and then so much for all his antics of wearing the suits and the theatric hand shakes. The kids, understandably, weren't having it, and here come the Lakers to the United Center Tuesday heading to apparently end LeBron's Finals streak and with a month left for Luke as coach. If you need a good young coach, he'd be a heck of an addition. Being fired as many employees understand, especially in sports, doesn't always have that much to do with competence. 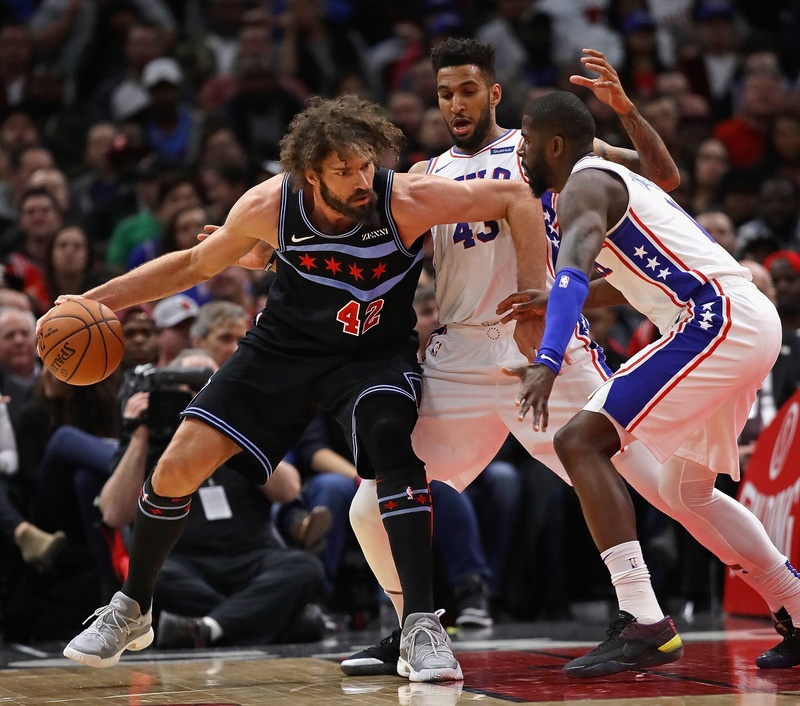 In a League where players rule and often dictate thier movements without fear of reprimand it is so refreshing to see someone like Rolo and what he has been doing with our team. Robin is a mentor, a teammate in the purest sense of the word and someone who should be held up as an example to young players when talking professionalism. Could have asked for a buyout, stayed with the team and is having a career resurgence. Bravo crazy man, keep sipping that tea. Sam: One of those people you want to say about, Good for him. Robin probably would be loath to admit, but he wasn't in a very nice mood, understandably, when the Bulls last year went with that "youth" movement that included, as he became known, Sean Kil-draftpick. It was understandable what the Bulls were doing since it had become de rigueur in the NBA to "tank," meaning losing games for draft position. The Bulls clearly were ambivalent as they do not believe in the quit model that became so embraced and is much overstated for success. Like a lot in our world, anecdotal evidence often becomes the model answer. "Yeah, but what about..." So the Bulls grudgingly went along and had to rest Lopez and Justin Holiday. As a natural competitor, Robin wasn't very happy. After all, the world, especially in sports, is a what have you you done for me lately community. The Bulls were sympathetic, and probably a bit embarrassed, but they had to do it for their business model. But it also hurts the players' business model. If you don't play or produce less, well, it's a statistics driven business. Lopez understood his future earnings were taking a hit as well. He wasn't always Robin the genial jester. But to his credit, he also began to reinvent himself with this drop step, spin, jump hook game that has him setting career scoring records. And which so many of the league's smaller centers don't want to deal with. Myles Turner began flopping to get out of his way the other night. I assume the Bulls will consider him as a free agent, which seemed about a one percent chance a few months back, but clearly so will other teams. You want someone like him around your team. As for the tanking—excuse me, youth movement—again, forget it. 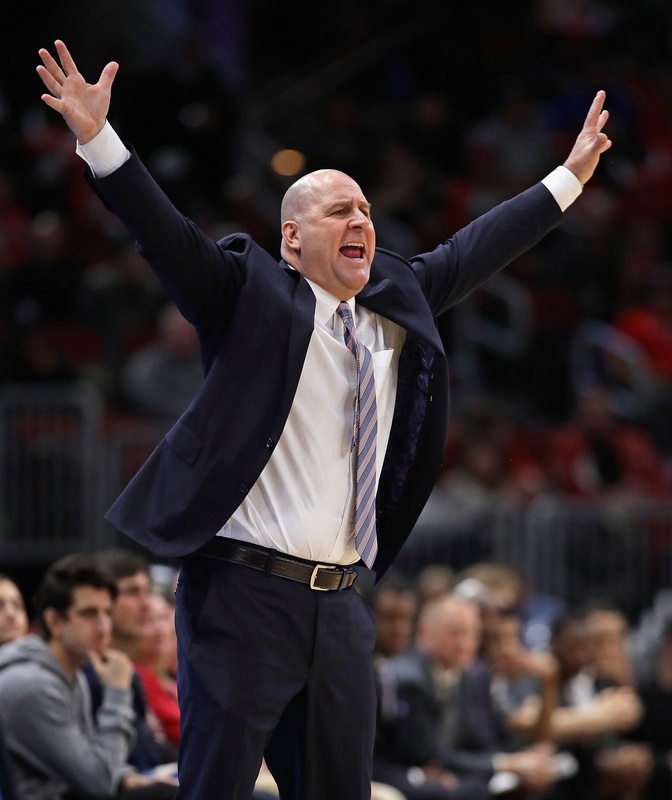 It's obvious the Bulls and coach Jim Boylen aren't considering it for a second. And it basically makes no difference anymore for the top pick, which this draft seems all about. There's the outline of a competitive team now, and it needs more to be about getting them the experience of competing instead of waiting and hoping for the next great thing. I realized GarPax said they'd be quiet in free agency this summer. With that said and Porter fitting very well maybe we should gamble on Kemba Walker. This and what at worse the 7th draft this Bulls team is back fighting for the playoffs in maybe 7th seed. That starting lineup would be solid build for growth with Dunn a backup, Ideally Valitne would grow in to a solid role along with Hutchinson. Sam: I get a lot of emails like this, so I'll try to explain the salary cap a bit. The main point is in the title, a cap. Meaning it places a ceiling on how much money a team can spend. 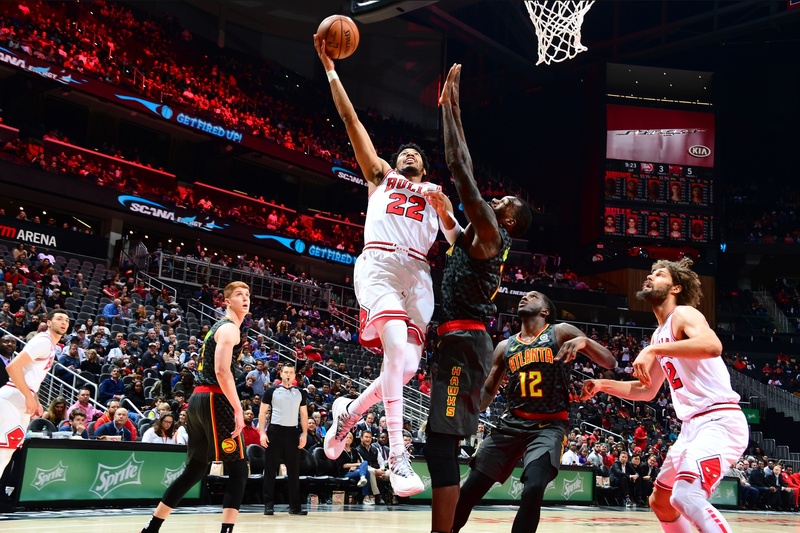 That's what the Bulls were saying when they announced the Otto Porter trade, that with Porter's salary for the next two years, they would no longer be far enough below the cap line of about $110 million to go after a top free agent. A team would need to have salaries of maybe $75 million to start a deal with a major free agent. The Bulls payroll starting next season is probably at least $85 million counting the draft pick. And that includes letting go as free agents Lopez, Arcidiacono, Selden and Harrison. 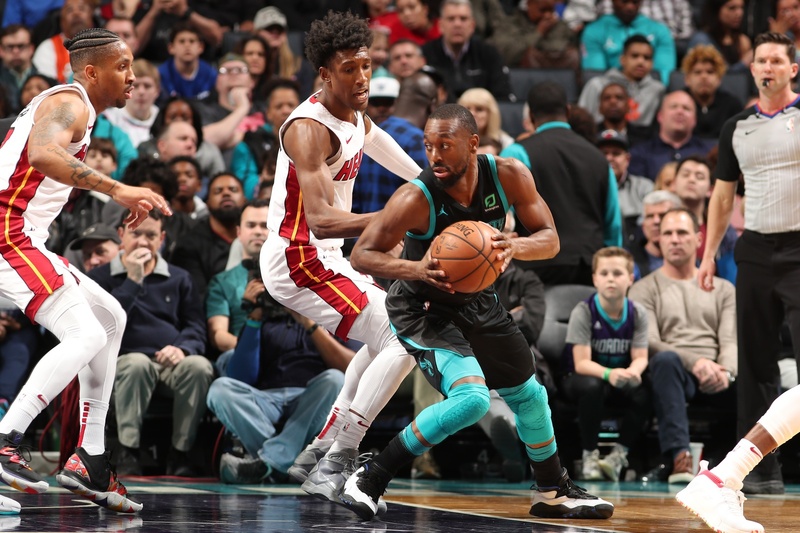 A top free agent player like Walker, whom I personally believe resigns back in Charlotte, would have a starting salary at least $30 million for this era. The Bulls essentially made their free agent acquisition in the Porter trade, and given his overall play and shooting, I doubt they'd have done better—or probably close—in the summer. I haven't heard from many lately to suggest the trade was a mistake. Despite the fantasy hopes of many—and dreams are good to have—I never believed the Bulls were in play for the top guys considering basically that the four teams in New York and Los Angeles each have room for two free agents. The Bulls never did. I was thinking the Bulls could go after a potential free agent player like Tobias Harris and be fortunate to sign him. Porter is in that class of player, for sure. The Bulls might eke out some more money with a stretch provision on a player, which means extending a salary out to create more room now like the Knicks did with Noah. But the Bulls still would not be near the cap room of the top four or five teams. Why risk being shut out again when you can add—and did—a high level NBA starter? But there will be opportunities to add a mid level type free agent of the Derrick Rose variety. The Bulls are finally at least competitive again, so I am sure you are inundated with trade suggestions. So allow me to add my own. We fill out the bench with cheap FA and 2nd round picks. Instantly become a playoff team, with potential to be a good one with continued development of Markkanen and LaVine. Sam: This was once my go-to column, but mostly I'm doing rejection letters lately. 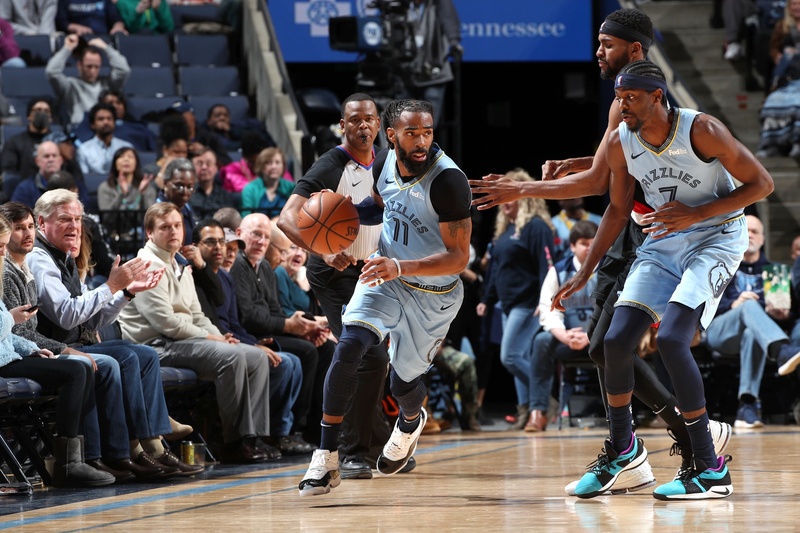 I would not be surprised if Conley is on the market with Memphis going into rebuild, and he is a good one. Of course, you just made Lopez your starting center for next season a few weeks after it seemed he was about to be bought out and I doubt the Bulls are thinking that way as good as Lopez has been. But possible, sure. I've always been a Conley fan; he's the Derek Harper of this era, the best player never to be an All-Star. But Conley will be 32 before the start of next season with a recent history of injuries and two more years left at about $33 million per year. He's missed an average of about 36 games per season the last three years. Would you take the chance on a player in his 12th season? If he's hurt again, you lose your presumed center of the future, what you perhaps could get for Dunn if you want to deal and a rookie talent or what you could get in trade for a high lottery pick. Conley would seem to be a final piece. Would the Bulls be that close after such a trade? Philadelphia was really a fun game to watch. Without Embiid, it was a pretty even match-up. The Bulls just played with more heart, as epitomized by Archie's dive out of bounds. If Lauri & Porter get back on track, this is a scary offense with lots of weapons. They've got 2 more vs. the Sixers, so plenty of chance for revenge. S/B interesting. Zach was brilliant, of course, and once again made the Butler trade look great all by himself. I cannot believe somebody left him off the best under 25 list. He may be the most exciting in-game dunker I've seen, at least since Jordan... and (dare I say it) maybe even better. And he's so damn fast! Having seen both up close, is he actually faster to the hoop than Rose was? It sure looks that way. And the elevation on that alley-oop from Porter off Archie's steal... it looked like he was up above the rim forever. Then you add the 3-point shooting. If Zach can cut down the TO's (esp. late in the game) and get a little smarter on D, he'll be near perfect. And Lopez keeps on out-doing himself. He's definitely earning himself a contract somewhere. Fun Fact: Wendell had a total of 4 games scoring 18 pts or more when he was starting. Not a fair comparison, since he's a 20 yr. old rookie, and only about 6'9". My point is that, even if he is a center, he's definitely not ready to replace RoLo as the starter. Sam: Robin Lopez for All-Star? I guess the Bulls would like to have that problem of too many good players. I am interested as well to see the development of Carter, who won't get taller, but should get wider and with a deeper shot. I'm not ready to elevate Zach to Rose's altitude, but anyone does have to marvel that he's basically at this level a year from ACL surgery and just his third full NBA season. Kobe in his third full season still wasn't averaging 20 points and was barely a 30 percent three-point shooter. Sam: Hey, whose idea is it for other teams trying to win? Don't they know the Bulls are building back and their fans want to win! So I was definitely someone who questioned Boylen's decisions and the way he described his strategies in this new era NBA. Does he deserve some credit now? Or do we give most of it to the players and how they stay motivated and not giving up on the season? I always have been one of the few who think Gar/Pax are doing pretty good at building a team and have not blamed them like so many others, so do they deserve more credit now? I know, I know, only a few weeks, but hey you gotta feel better about this team when things are going the way they are, especially looking back at the start of the year. Sam: This is something like the Jordan-LeBron debate, which moved for LeBron ahead when he passed Jordan in scoring Wednesday, but then put Jordan ahead when it seemed obvious LeBron would miss the playoffs after another loss and Rajon Rondo preferring to huddle with courtside spectators. Perhaps we need more than a month or so for the awards. Do you think that Ryan A's instant replays of Robin Lopez moves to the basket have contributed to the originality of his offensive game? I don't recall him doing the kind of stuff he is doing lately. Also, if you can, please talk to the Bulls broadcasters and try to get them to show us Ryan's replays. What little we get to see on TV looks like fun. Sam: I'll see if Stacey can diagram some of them. I'm often caught actually watching the game, so I've missed most of Ryan's pantomime. Chicken or egg, eh? Did Robin actually improve his moves watching Arch? It would be an interesting teaching tool. 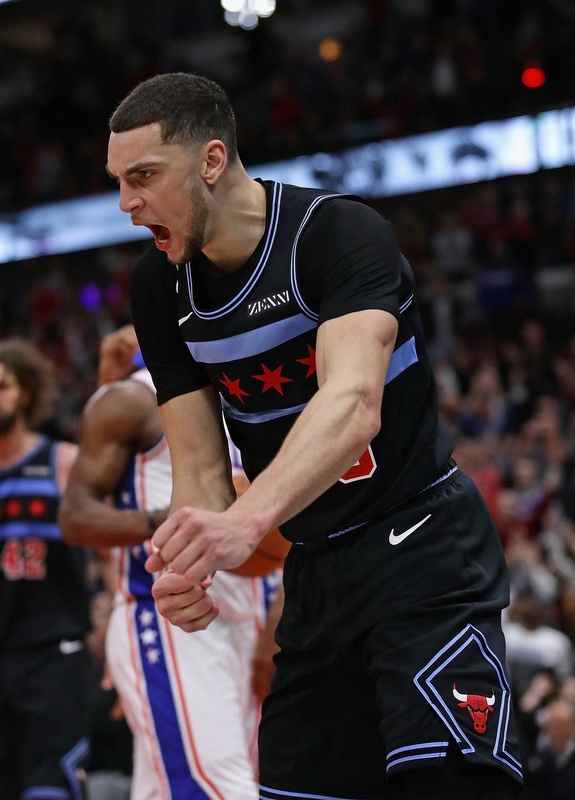 But seriously, if I may, one thing the Bulls have lacked, understandably so given all the turnover the last two years, has been that spirit of fun around the game. It's difficult to retain that convivial team spirit when you aren't sure how long you'll be around. It's why the Warriors always are looking like they're having more fun. And not so much the Lakers these days. 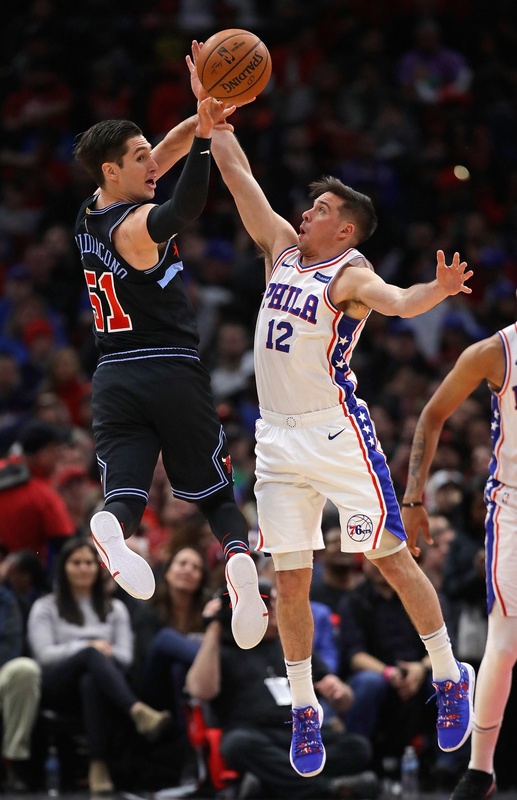 The Bulls finally seem to be putting together a core to move forward with and a player like Arcidiacono with his sincere and earnest joy for the game and just being here does help lift a team and provides something the Bulls have been missing. Though I doubt he'll be trying to imitate Zach much. Luca or Trae Young? Who do you think got the best of that deal? Trae impressed over the weekend. Long term? Sam: Which is another reason why making the decision based on a month or two isn't quite conclusive. 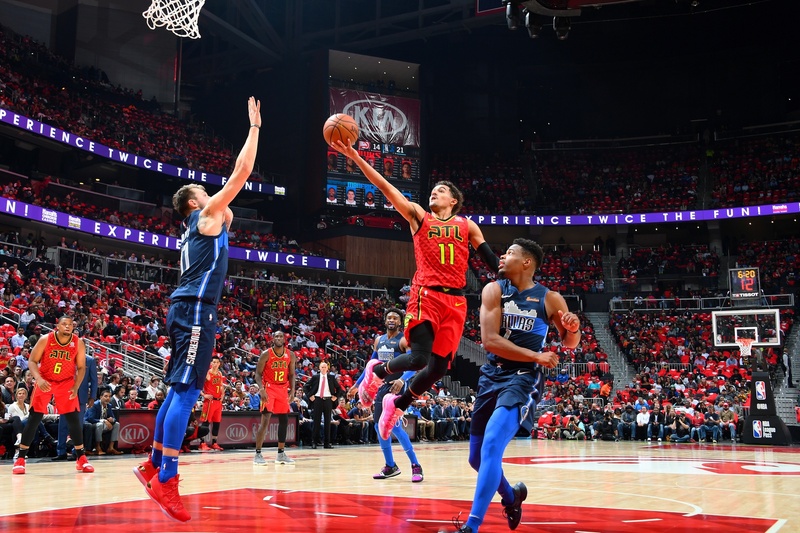 We all assumed the Hawks were taken, but now they have Young, who looks like a potential All-Star point guard, they get Dallas' pick this year if it's not top five and their own, which maybe jumps to 1 or 2 if they are lucky. Then with John Collins that's a heck of a quick core rebuild. Dallas probably will keep Porzingis thanks to Luka, so good for them. It just all means there are not going to be a lot of easy wins to get in the next few years. 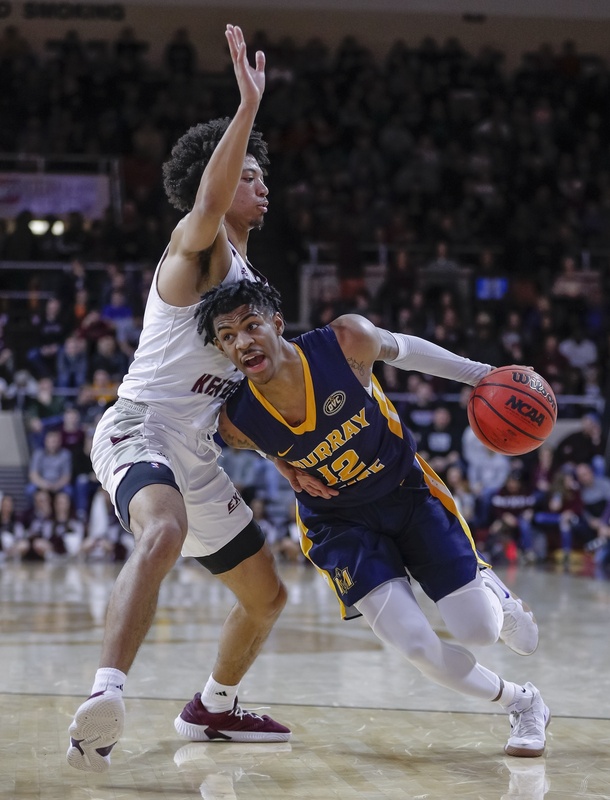 I understand if the Bulls are in a position to draft Ja Morant, you don't pass up on his talent. However, if the Bulls lose out on drafting him I believe they can draft another wing. I would use LaVine as my point guard and have Dunn come off the bench. This would make the starting lineup a lot more versatile and taller. I think Cam Reddish or RJ Barrett would be a perfect fit for the Bulls in this scenario. I know Zach tends to turn the ball over but he can make adjustments and lead the team, he has nice handles. What do you think? Sam: I'm not counting out Dunn yet, But I admit I am not sure and go back and forth on Zach. I generally see Zach as a shooting guard in an offense the Bulls have had some success with lately running a pick and roll with Lopez and having different players, including Zach, taking the ball upcourt. Zach's actually pretty good seeing the court on the run, though, yes, a bit loose with the ball and more so under pressure. If I had to decide, I'd prefer him as a finisher since he does it better than anyone on the team. I enjoyed watching the Thibodeau teams except for one thing. Coach T always was shouting instructions during play. Aesthetically and philosophically I hate when coaches don't let the players get into the flow and read the game. I really liked Hoiberg because, at least on offense he seemed to trust his point guard and his players to execute. The jury is still out for me with Boylan. Here's my question. It appears that this team has several players with good handles that can advance the ball and initiate the offense. Do the other players "read" or do they run plays according to variations on set patterns. For example if Markkanen advances the ball does the "3" now fill the role of the "4", the "2" shifts into the "3" role and so on and run a scripted play, usually some kind of weave. Back in the day, Scottie would advance the ball and deliver an entry pass to whomever established a post position and everybody else would get their read based on how the defense reacted. Is the "read " philosophy that seems essential to the triple post still viable or did the modern zone defenses with all the switching combined with the hated 3-ball kill it. Sam: I think it was the coaches. I, too, have a distaste in what's become the micromanaging in all sports from the microphones in the helmets of the football players (which is by far he worst) to managers calling pitches in baseball to all that yelling from the sidelines in basketball. I don't watch hockey, but I can't believe there is one play. No wonder those guys seem happier. Anyway, because of the nature of the game, I think basketball players are reasonably independent, and LeBron the most because I doubt he ever listens to the coach. Which has positives to it. 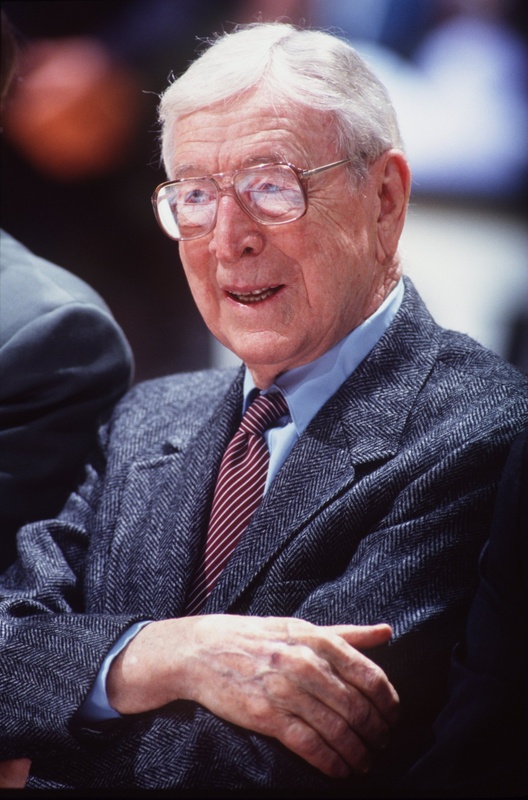 I prefer more Phil Jackson's confidence and especially John Wooden's. Yes, they had great players, but maybe they became a little greater because the coach let them. Wooden was great. A player would look over during a game and he'd say (not yell) that he told them what to do in practice and now it was their time. That's what practice should be for. After all, if you practiced all that and still have to tell them exactly what to do, can they be all that good? Or your practice? Many coaches are control freaks, so I understand. It seems part of the makeup. The Bulls listened a lot to Thibs, and then they did what they felt, as they said, the game told them. Which was Thibs' mantra, too. So he sort of went along with ignoring him, I guess. It's one thing to identify on film what someone did wrong and another to explain exactly how to do it correctly and athletically. I prefer the role of coach as teacher and player as doer. Phil and Tex believed in that, which is why they believed so much in the triple post because it encouraged independent thought and didn't supply a game plan for opposition scouts. Most teams now use the pick and roll as their primary offense, so defenses have gone to switching to try to negate that. The best teams keep moving, passing and changing positions to produce the best shot, which is a tenet of the triple post (triangle), and why the Warriors have had so much success with a blend of those offenses. The best teams will seek out mismatches and try to exploit them without being too stagnant in what they like to call in this era a positionless game, which it isn't quite yet. Some body wrote you comparing Arcidiacono to Hinrich. I see him more as Duhon. Size, athleticism (or lack thereof) grit, smart play, so-so overall talent. It has been a long time since I've reviewed Duhon tape but I've been thinking that watching Arch lately. As you wrote, Lavine is no Jordan. But that still might be the closest comp just because nobody else has had similar athleticism, scoring and size. Rose of course had two of those but was much smaller. Reggie Theus? He was before my time but I know he could score and never cared much about his defense. Could Wendell Carter become Horace Grant? I don't have a Bulls comp for Lauri because big men didn't used to do what he does very often. Maybe a better Donyell Marshall? Sam: LaVine's more athletic than Reggie, who was a good athlete. I think Lauri moves better than Donyell did and Horace was really skinny when he started, but they are reasonable comps. How close Zach is to Michael will make the difference. I also like Duhon more than Kirk for Arcidiacono. Kirk was really good and athletic. Duhon was more physical than Arcidiacono, a better defender and a bit more athletic. But Arcidiacono is more the hustle guy as befits his undrafted status. I always appreciated Duhon for the way the Bulls said he needed to go to Europe as a second rounder because he couldn't make the team, and he said try me and beat out a bunch of other guys to make the roster and lead a team who basically doubled the win total from the previous season. He's at Illinois State now carrying on the athletic traditions of Doug Collins and Tim Hallam. I remember Dirk being a slow starter (and a lot of folks thinking the Mavs got fleeced on his draft-day trade, 'Tractor' Traylor RIP). I do understand your "Dirk could never have won anything by himself" argument. I'm just afraid that the Bulls have set themselves up to be very, very good, but not good enough to get to the top. I guess I'll settle for very, very good, I was there in Illinois for both Jordan eras, saw a couple of playoff and Finals games in person, etc...my fan experience is pretty complete. Part of me is content to sit here exactly halfway between Detroit and Cleveland, listening to their fans' absurd gripes. Sam: Good attitude, but it doesn't preclude a great. Can you define it? Do you know when it's coming? Did Curry and Thompson and a second round pick sound like the winningest regular season team ever. The goal of a franchise it to become very very good. Not great. Great comes by luck, happenstance or serrindipity. You cannot plan for that. Sure, if someone gifts you a first team all-NBA player, good for you. What rebuilding is all about is enhancing your talent to be in position to get to the conference finals, and then who knows. Did you think the Bucks could win a title last year? Do you think they can now? So when the bulls get the inevitable 4th pick in a 3 player draft, would you suggest they keep the pick or try to trade for a veteran? Sam: You've always got to admire the optimism of the Chicago fan. Though I'm assuming someone jumps and they get five. The obvious is if the pick isn't so appealing, who is giving you a starting level veteran for it? Of course, teams have varying needs and desires and there's always a salary dump to be found. Anyone looking to give up another James Harden? The Bulls helped their young/veteran blend with Otto Porter, and could use another, whom they could acquire in free agency. Not any of the Ks, Kawhi, Kevin and Kyrie, but there will be plenty. There's an injured point guard out there in the draft everyone talks about, various Duke guys and someone always blows up in the tournament. I suspect you'll be adding a pretty good talent at four for five and probably would keep it. I see Otto Porter as comparable, overall, to our 2019 draft options. He went #3, clearly isn't a bust and looks, as he's playing for the Bulls, as good as I could reasonably hope for from a #3 draft pick. Granted we hope for a superstar in the top #3, but we know many don't pan out. The Bulls could have stayed as is, ran out the season losing more games without Otto, and hoped for a higher draft pick. I prefer the Otto path. The top three 2019 picks might be better at age 25 than Otto is now, but there's no guarantee. And Otto's good now, right now. Another great prospect is welcome, but Otto will have more impact, both immediate and probably long term because the Bulls need to learn how to win now while their current prospects are moldable. I typed "probably" in the previous sentence because Zion or Ja or Barrett could turn out to be the next great thing. So there's that, but we might not lotto there and the pick might not turn out to be the next great thing. I'll take Otto and lower draft lottery odds. Win now and learn how. The draft is rarely a team's predetermined turning point.